Blut Aus Nord was originally formed as Vlad (10) in France in 1993 as a solo project lead by Vindsval. 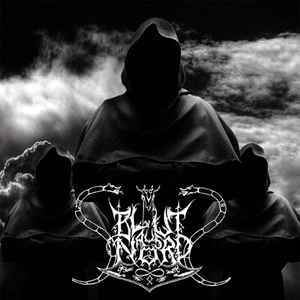 After two demos, In The Mist in 1993 and Yggdrasil in 1994, the name was changed to Blut Aus Nord. The band was signed to Impure Creations Records and released the full-length album Ultima Thulée, which introduced long-time member W.D. Feld on drums and keyboards and featured Ogat on bass. This was followed in 1996 by Memoria Vetusta I «Fathers Of The Icy Age», which included Ira Aeterna on bass (as a session musician). In 2001 The Mystical Beast Of Rebellion was released, with Nahaim playing as session bassist. The Work Which Transforms God came out in 2003; this was the first appearance of GhÖst as the now-permanent bassist, thus completing the line-up that the band still has to this date. The album also featured session member Taysiah on vocals. The 10" split with Reverence (2) (... Decorporation ...) followed in 2004, and the band has been releasing a steady stream of albums, and a few EPs, since. The band's current line-up is: Vindsval (vocals, guitar), W.d.Feld (drums, keyboards), Thorns (drums) and GhÖst (bass).